I wrote an article and designed a little pattern for Interweave's newest issue of Knitting Traditions. 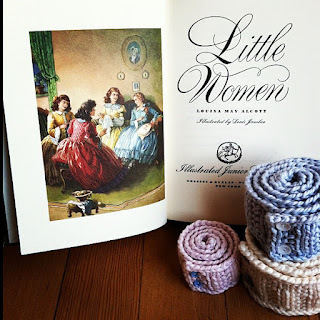 Inspired by the charity knitting of children during the Civil War, and by Louisa May Alcott's time in Fredericksburg as a war nurse, I was able to tie these themes together through her classic novel, Little Women. The pattern is for knitted bandages, and is worked up in Blue Sky Alpaca's Worsted Cotton, which I really enjoyed working with. I even made a bandage set in a doll size, since it seems children love to wrap up their dolls and animals with bandages, at least mine do! I spent a lot of time re-reading Little Women, and reading accounts of children's charity knitting groups during the Civil War. 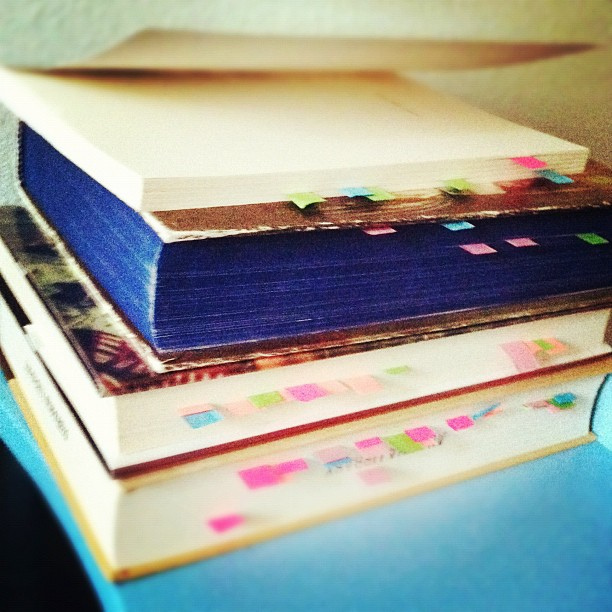 My favorite bookish treasure that I found while working on this project is the reprinted diaries of Hannah Ropes, the nurse under whom Louisa May Alcott worked at the hospital in Fredericksburg. 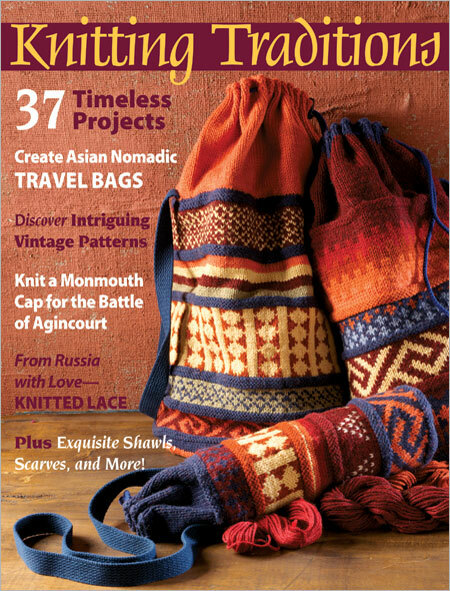 This issue of Knitting Traditions is a treasure trove of knitting patterns, photos, articles, and inspiring ideas. 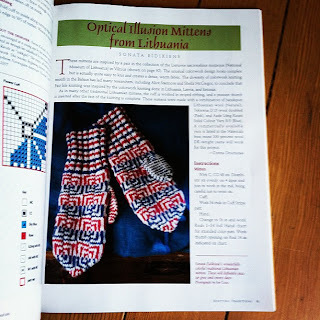 If I were to pick a favorite pattern from the magazine, it would have to be these Lithuanian Optical Illusion Mittens. 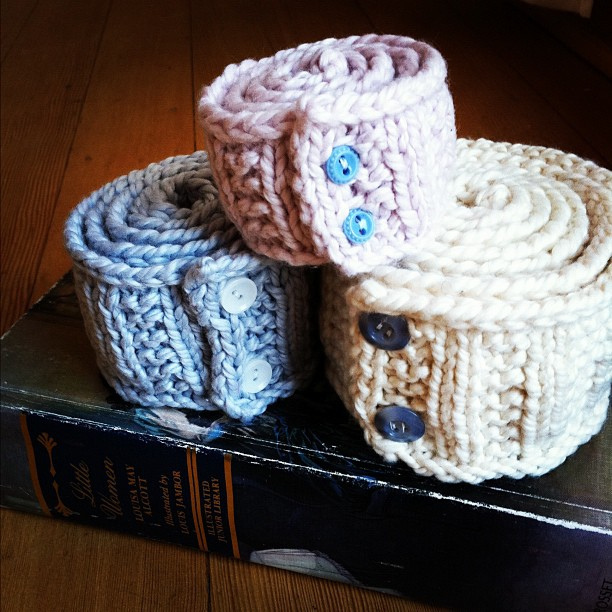 I think these are going to the top of my queue! 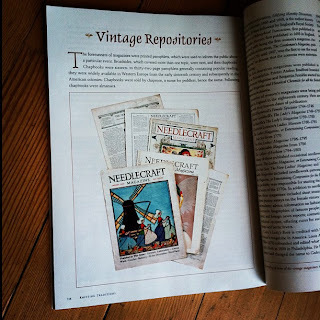 As for articles, I am especially interested in this one about vintage pattern booklets and leaflets. 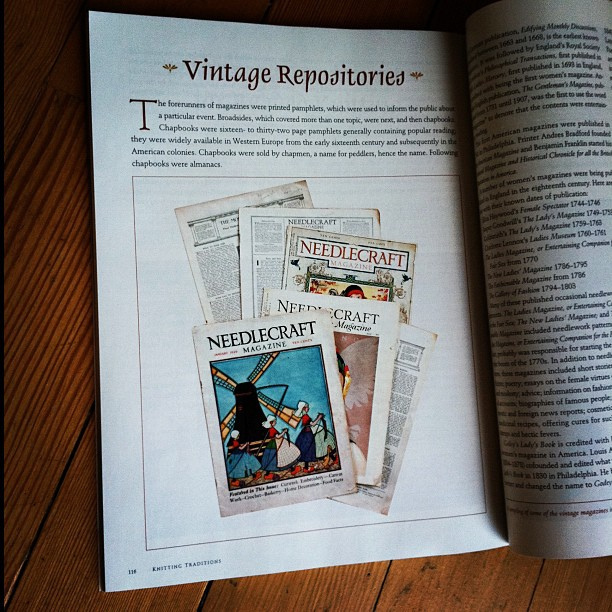 I enjoy the illustrations, photos, and typography just as much as the patterns themselves. 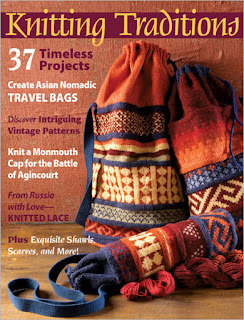 I love this publication, and am honored to be included in this issue. I hope you find time to enjoy it, too! Oh, and I nearly forgot, but Eric added a special touch to my article, too. So did our daughter. Let me know if you find it within!